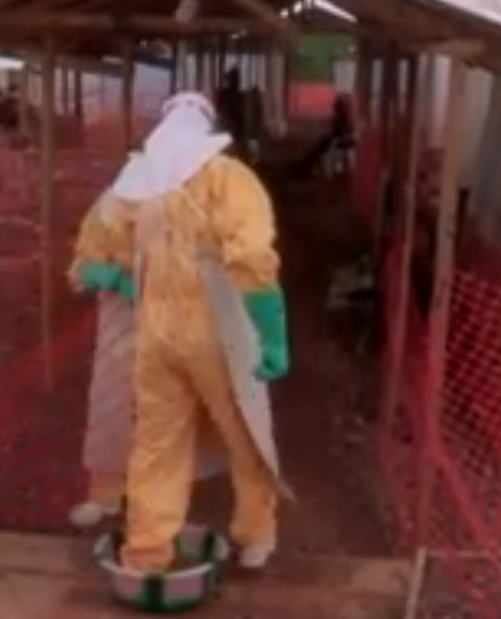 Above: medics using a bucket of bleach to sanitize their feet as they enter the isolation ward. Filming in Sierra Leone was “like being in a war zone where the enemy is invisible,” said FRONTLINE’s Wael Dabbous, who spent two weeks on the ground as the outbreak spiraled out of control. A World Bank Group analysis of the Ebola epidemic released today finds that if the virus continues to surge in the three worst-affected countries – Guinea, Liberia, and Sierra Leone – its economic impact could grow eight-fold, dealing a potentially catastrophic blow to the already fragile states. However, the analysis finds that economic costs can be limited if swift national and international responses succeed in containing the epidemic and mitigating “aversion behavior” – a fear factor resulting from peoples’ concerns about contagion, which is fueling the economic impact. World Bank Group President Jim Yong Kim said, “The primary cost of this tragic outbreak is in human lives and suffering, which has already been terribly difficult to bear. But our findings make clear that the sooner we get an adequate containment response and decrease the level of fear and uncertainty, the faster we can blunt Ebola’s economic impact.” “We have seen in recent days a serious scaling up on the part of international donors to contain the Ebola epidemic. Today’s report underscores the huge potential costs of the epidemic if we don’t ramp up our efforts to stop it now,” said Kim. As the Ebola epidemic rages, two questions have emerged: How did the deadly virus escape detection for three months? And why has a massive international effort failed to contain it? Traveling to Meliandou, a remote Guinean village and the likely home of Patient Zero, Jeffrey E. Stern tracks the virus’s path—and the psychological contagion that is still feeding the worst Ebola outbreak in history. MONROVIA, Liberia — The girl in the pink shirt lay motionless on a sidewalk, flat on her stomach, an orange drink next to her, unfinished. People gathered on the other side of the street, careful to keep their distance. Dr. Mosoka Fallah waded in. Details about the girl spilled out of the crowd in a dizzying torrent, gaining urgency with the siren of an approaching ambulance. The girl’s mother had died, almost certainly of Ebola. So had three other relatives. The girl herself was sick. The girl’s aunt, unable to get help, had left her on the sidewalk in despair. Other family members may have been infected. Still others had fled across this city. 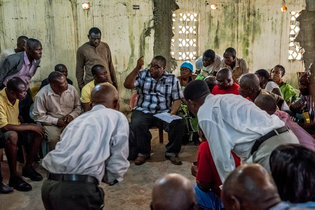 Dr. Fallah, 44, calmly instructed leaders of the neighborhood — known as Capitol Hill, previously untouched by Ebola — how to deal with the family and protect their community. He promised to return later that day, and send more help in the morning. His words quelled the crowd, for the moment. Months into the Ebola outbreak, Liberia remains desperately short on everything needed to halt the rise in deaths and infections — burial teams for the dead, ambulances for the sick, treatment centers for patients, gloves for doctors and nurses. But it is perhaps shortest on something intangible: the trust needed to stop the disease from spreading. But the scale of the task is daunting. He is trying to beat Ebola in a city of 1.5 million people where the disease is expanding exponentially, where entire families search in vain for medical care, and where the main hospital is dangerously overwhelmed, plagued by electrical fires, floods and the deaths of health workers infected with the disease. Dr. Fallah has slowly begun winning over the city’s toughest neighborhood, West Point, the seaside slum where he spent two years of his childhood. Deadly clashes between angry residents and soldiers erupted recently after Liberia’s government placed the entire neighborhood under quarantine. 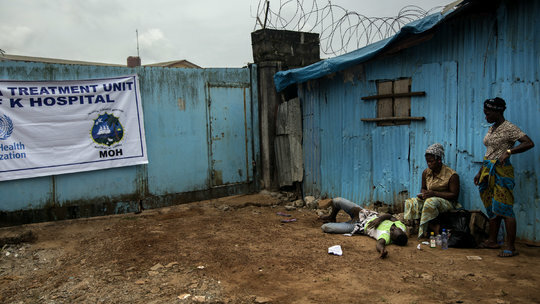 The 10-day cordon, enforced by the army and the police, merely deepened the mistrust of the government in the city’s slums, the very neighborhoods most affected by Ebola. Dr. Fallah plunged into West Point, deciding with community leaders to battle Ebola by resurrecting a survival mechanism used during Liberia’s catastrophic 14-year civil war. They divided West Point into zones, much as was done during the war to ensure that everybody received food and other vital supplies. Surveillance teams of volunteers overseen by Dr. Fallah now scour West Point, searching for information about a dead or sick person, hoping to identify victims and remove the bodies before the disease can be passed on. His teams visit every morning, tracing the circle of people around Ebola victims to see who else develops fevers or starts vomiting. This painstaking process, repeated until an outbreak is eventually contained, has extinguished past Ebola outbreaks in rural Africa — and may be the only hope of stopping it now. Two days after the government lifted the quarantine in West Point, the Health Ministry asked Dr. Fallah to start using the civil war-era zone system in two other Ebola-stricken neighborhoods, perhaps another signal of the government’s turn away from force in its campaign against Ebola. “We feel that using the communities to provide the leadership for us to do the Ebola work is more effective,” said Dr. Bernice Dahn, a deputy health minister. Dr. Fallah’s team of contact tracers pushed deep into West Point one morning, into a labyrinth of hovels and alleys that became ever narrower. A group of young men appeared abruptly, blocking the only exit, their intention clear. They went away, with a $10 bill. 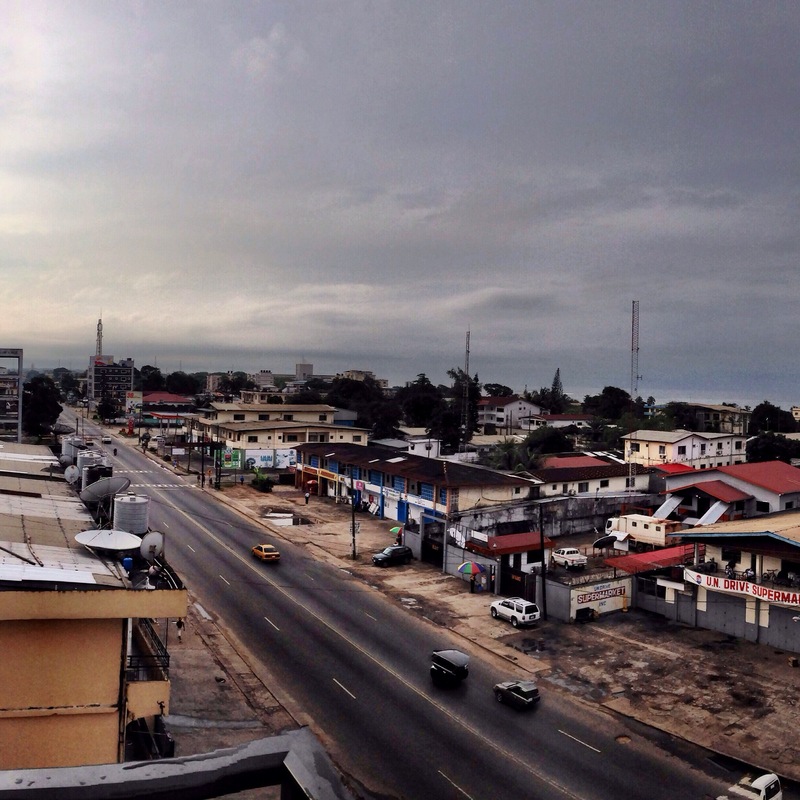 Monrovia is the first city to face the full onslaught of Ebola. Tracing the contacts of Ebola victims has never been attempted on this scale, yet Dr. Fallah’s team has only five vehicles to monitor hundreds of thousands of people. One vehicle was in the shop for five days, so Dr. Fallah used his own. In West Point, a slum of up to 120,000 people, Dr. Fallah deployed 15 volunteers to track 150 people who may have been exposed to the virus. The tracers fan out early in the morning to catch the people at home — they are supposed to stay indoors, but many do not — and to minimize contact with an often hostile community. “On the field, as we are going, they are cursing us, passing around, talking plenty,” said Marie Harding, a tracing supervisor. At one house — a large one by West Point standards, with eight rooms and, even more unusual, a restroom — about 20 people came to the entrance, emphatically stating that everything was fine. 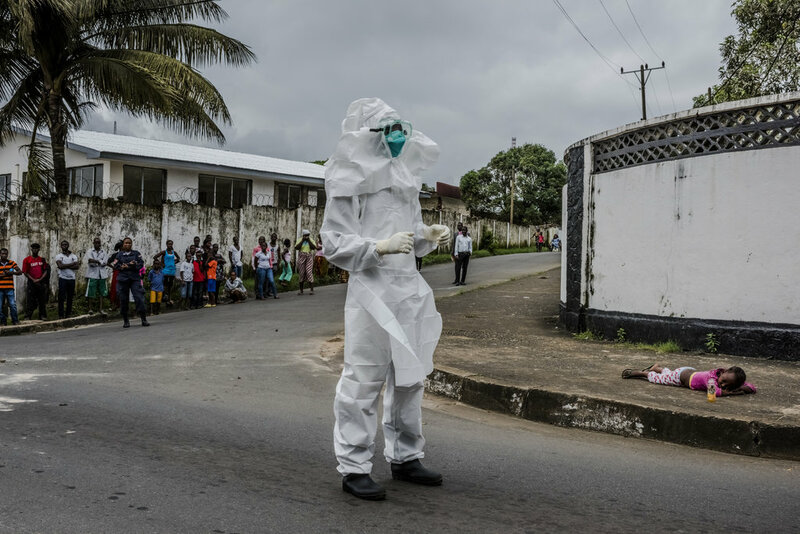 A man named Junior, who rented a room, had died in late August, apparently of Ebola, and a burial team had come to pick up his body three days later. David Yeah, 75, the home’s owner, said that he had locked the room. Sprayers had come to decontaminate it; they had thrown the dead man’s clothes into the sea. The house’s other occupants had avoided the man before his death, bringing him neither food nor water, he insisted. But after a few minutes, Mr. Yeah and his tenants acknowledged that a woman — possibly a relative — had been nursing the man and mixing with the other occupants. Then she fled after his death. Dr. Fallah had seen this many times before. The government’s failure to provide basic services keeps undermining the trust he is trying to build. Burial teams take days to pick up the dead; ambulances — there are only about a half-dozen in the capital — respond to only a fraction of emergency calls. Those lucky enough to be transported to a treatment center are often turned back, taken home because of a shortage of beds, or left pleading at the gate for admission. The government’s lifting of the quarantine after 10 days also gave West Point a conflicting message. Many rejoiced at the move but interpreted it as proof that there was no Ebola in their community. On the Sunday after the quarantine was lifted, churchgoers celebrated what many saw as West Point’s deliverance from Ebola. Inside the Dominion Life Church, next to an Ebola holding center, the faithful danced and — disregarding awareness campaigns to avoid touching and risk exchanging body fluids — shook hands and grasped one another’s arms with fervor. “No, no, no, no,” the Rev. William Morlu, the church’s senior pastor, said when asked whether Ebola was present in West Point. At the Church of Pentecost, Emmanuel Oben, 45, the chairman of a local P.T.A., said that the government was “not sincere.” But Dr. Fallah, whom he had met twice, was “a man that everybody wants to work with,” he said. When Dr. Fallah was 10 years old, his father lost his job as a driver for an American mining company, so the family moved to Monrovia. The family lived in West Point for two years and then moved to a squatter’s area called Chicken Soup Factory, where his parents eventually built a house. His mother still lives in it. During Liberia’s civil war, he spent 11 years completing his college studies at the University of Liberia, and worked for Doctors Without Borders. A friend’s support led to graduate studies in the United States, where he earned a doctorate in microbiology and immunology at the University of Kentucky in 2011 and a master’s degree in public health at Harvard in 2012. 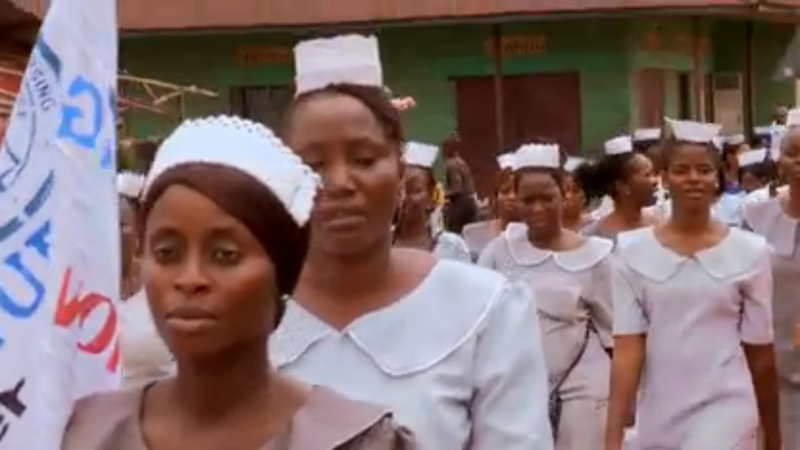 A project to open a maternal care clinic in Chicken Soup Factory brought Dr. Fallah back to Liberia after Harvard. The clinic opened in June but was shut down a month later because of the Ebola outbreak. On an afternoon of heavy rain, Dr. Fallah drove out to two neighborhoods where local residents had begun organizing Ebola awareness campaigns on their own. In the face of the hysteria gripping the capital, they were joining forces and fighting back. In one area, volunteers like Obediah Daykeay, 22, who had read up on Ebola in an Internet cafe, were instructing neighbors on the use of bleach and water to wash their hands. They had invited Dr. Fallah after hearing him on the radio. In another neighborhood, a group of youths had raised money to print an eight-page pamphlet on Ebola. Dr. Fallah spoke to them inside a church, urging them to organize monitoring teams. The youths listened intently, fear visible on many faces, craning forward in their pews toward Dr. Fallah as rain beat noisily on the church’s corrugated roof. We are delivering supplies that are important for the treatment and care of people who are sick with Ebola, and for continued supply of basic services. We continue to airlift essential supplies to the affected countries on a massive scale. By the first week of October we will have delivered 1300 metric tonnes and mobilized 55 flights. Read about what goes into making these deliveries happen. In the coming weeks, we will be focusing on packing and shipping 50,000 Household Protection Kits. These kits contain gloves, gowns, masks, soap, chlorine and buckets. The first 9,000 of these will leave this week for Liberia. The Household Protection Kits complement the Family Hygiene kits which are already being packed and distributed in the country. UNICEF is also working with Governments in at-risk and neighbouring countries to prepare them for possible Ebola outbreaks. We are already sharing information with communities and developing contingency plans and stockpiles. Learn more about the work being done with communities in affected countries to raise awareness about Ebola. Building on our existing country presence in Liberia, Sierra Leone and Guinea, we are bringing in 67 additional staff members to these three most-affected countries. Another 37 staff members will be deployed in the coming weeks. We’re seeking committed professionals to join our Ebola emergency response team in West Africa. We sent more than USD 7 million of our own resources to respond to the Ebola outbreak, including almost USD 4 million to Liberia alone. We have received approximately US 7.5 million from donors, but this is only 4 per cent of the total of USD 200 million we need to respond to this crisis.